With the new Transmogrification feature, some old equipment have increased dramatically in value. Perhaps the most famous and expensive example is the Teebu's Blazing Longsword. If you can get your hands on one, you're bound to make lots of wow gold! Molten Core, one of the places where the sword can be obtained! One does not simply farm Teebu's! Because the drop rate is almost non-existent, there is no point farming this the regular way, which in most minds is farming monsters. The only way one should approach this method is by checking the auction house from time to time. Like all items, even people lucky enough to obtain a Teebu's do not necessarily understand it's value. This is why you can sometimes see items like this for just a few hundred gold coins, sometimes even less. Teebu's Blazing Longsword's true value is currently closer to 100,000 gold, even more in rare cases. Personally I've managed to grab 3 for less than 10k gold during Cataclysm, and resold them for 40-60k. Now it's value is even greater because you can finally use it again in raids and dungeons! It sells surprisingly fast too, for a cosmetic item. I haven't had the opportunity to sell one after 4.3 was launched, but I've heard reports that say you rarely have to relist one, even if the price is 99k gold. Where does Teebu's Blazing Longsword drop? Personally I've seen it drop only once, and it was from a raid elite in Molten Core. It's a world drop item so I imagine it can drop anywhere where there is level 59-62 classic monsters. Elites always have higher drop rates though. Though by running old raids, you will make lots of wow gold from other loot while at it. There is a small chance of getting epics from treasure chests. You need to do the looting in level 55-60 classic zones and dungeons to get level 60 epics. If you don't know where treasure chests are located, you should grab a copy of my WoW Treasure Hunting Guide, the Loot Hunter. If you enjoy reading my gold guide, you will like Loot Hunter aswell! Only recorded drop has been from a Heavy Junkbox. 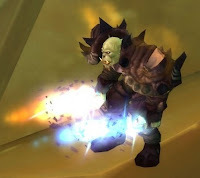 These can be pickpocketed from level 40-60 mobs by a Rogue. If you prefer an endless grind, you best choice for a location would be a raid instance. Any will do, aslong as it contains level 60 monsters. Here's the zones that have been confirmed. The value of this is the amount of gold people are willing to pay for it. Before 4.3 I purchased 2 Blazing Wizards blades for about 7k each. I had wanted to flip them for 50k each but despite listing all week and barking several times a day not a single bid. On Sunday there was another one listed for 25k and the selling of that is just relisting each day, dropping the price 1k each day. I play on 2 servers, and on my fun server where I don't put any effort into making gold there has been a Teebu's on the AH for about 3 weeks now at 100k. It's still there today. Very few people seem to be wanting to spend gold on the very unique weapons that are for sale at the moment. This may change over time but on both my servers the transmog high end weapon market is dead. 4 out of 31317 Junkboxes contain one, at least what has been recorded. Running around LBRS/UBRS and pickpocketing does not take much time at all and you end up with bags full of Junkboxes. I would approach it that way instead of spending 50k on lockboxes. Believe it or not, i've personally looted four of these. Just lucky i guess. How fast is fast? I've had one of these up in the Velen AH at 90k for more than 3 months and have only seen one other come & go (while mine sat in the bank damaged after the patch, no less). - How much you advertise it on trade chat. Keep in mind that not everyone is ready to pay 90k for a cosmetic item, so it's wise to lower the price and keep advertising on /2 if you want to make it sell faster!